Hello everyone! My hair has been very low maintenance since using bar shampoo, which you can read about here. Naturally, every now & then it gets a little dull, so I thought today would be a great day for a deep conditioning treatment. 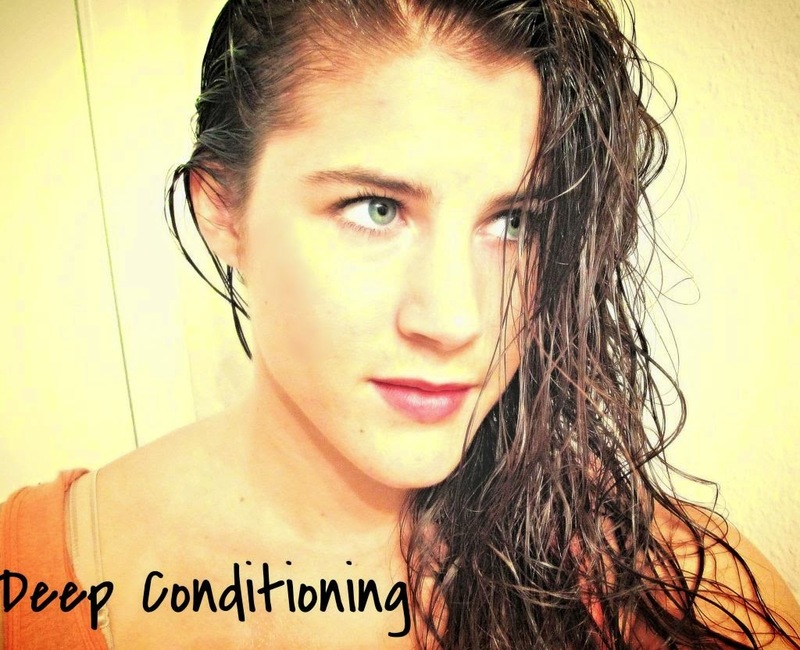 Deep conditioning is when you apply a certain mixture to the hair for an extended period of time. You could use natural oils or a special product that caters to many features of the hair, whether it's lengthening or volumizing. I use it for just about everything. To learn more, check out my post that covers the bare essentials of using natural oils here. In short, deep conditioning is for everyone. If you have dry, brittle hair it's definitely for you. If you want your hair to grow faster, I highly recommend it. It prevents split ends & basically gives hair a major boost. I usually choose a day to deep condition when I have very little going on. This way, you won't have to go anywhere looking like a greasy mess. Lately I've been doing it monthly. This is because my shampoo bar has oils in it that help my hair. Prior to this, I did it every few weeks. It just depends on how badly you need it. For today's ingredients I'm using castor oil, coconut oil & peppermint oil. This is my go-to combination. For an extra boost, I'm adding honey because it softens the mixture, making it more comfortable to apply. It also helps the hair grow faster by giving extra stimulation & nourishment to the hair follicles. Coconut oil moisturizes the hair & gives it volume. 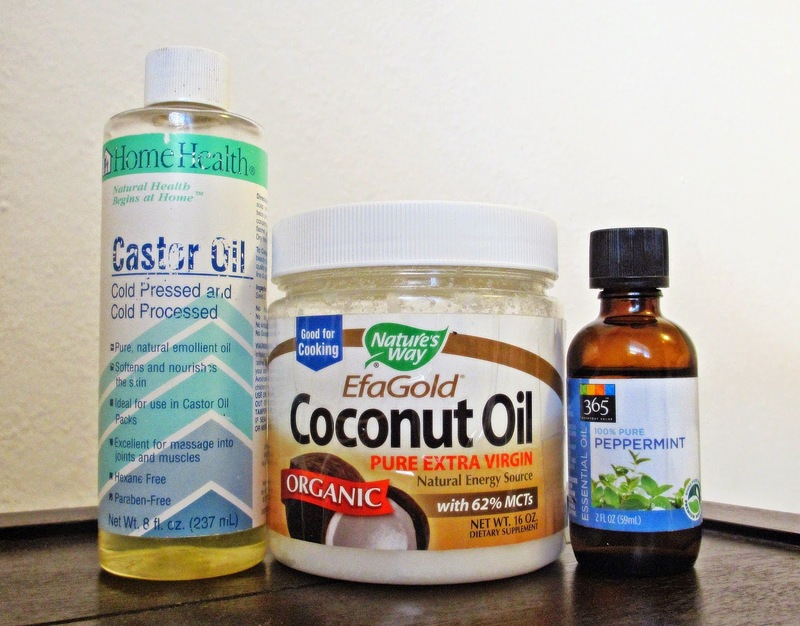 Peppermint oil & castor oil help with hair growth. Castor oil also helps strengthen & thicken strands. For information, here's my post about it. Start off by dampening the hair with water. I like to use a spray bottle, so it's not dripping wet. Gently work the oil mixture from roots to the ends. Concentrate mainly on the roots because the oil will penetrate the hair follicles. With any leftover mixture, apply it to the roots or store it for later use. Leave it in for up to 5 hours, depending on how much time you have. It will get messy, so put your hair up in a bun or cover it with a hair wrap of some sort. You can also leave it in overnight. I'll be doing yoga later, so I'll make sure to cover it so my mat doesn't get oily! Hope you get to try this deep conditioning treatment! Coconut oil & castor oil can be found at your local grocery store or health foods store. I purchased peppermint oil at Whole Foods & it's lasted me a while. That's all for now!